Is Sub-40 a Realistic 10k Goal for Me? 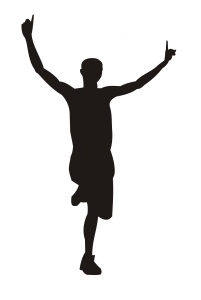 I have been running (jogging) to keep fit for about 20 years barring injury and/or bouts of lethargy. In the last 10 years I have run one 10k race annually. I have never really done any type of training before other than logging maybe 35km per week, until last year. I am 43 years old, 6" tall and currently about 180lbs, which is slightly above my ideal weight. I'd like to be 5 or so lbs lighter. With no proper training and carrying a bit of extra weight (up to 185 lbs) I was consistently able to run just under 45 minutes. One year I dropped ten pounds and my time went to 43:40. This year I did some speed/interval training once per week on a treadmill, as well as some hills and tempo runs. I upped my mileage a bit with the addition of a 12k long run. The result was 42:47. I felt better during the run than any other, but still was carrying 5 extra pounds, and messed up my pacing at the beginning a bit. I feel that with some proper dedication and training that I could run faster, and want to explore this potential. Is sub-40 a realistic goal? Thanks for your 10k question. Someone once said on a running forum that anyone should be able to do sub-40, provided they do the training. I am not sure if I am 100% on board with that idea. I think the writer wanted to provoke something rather than making an intelligent statement. But given what you are writing here, I think for you sub-40 is doable. Your basic training is there. I would increase the long run quite a bit. Do it slowly and easily over time. If you were able to increase your long run to 15-20k and do that for a few months then you really boost that stamina of yours to no end. And it will help your weight as well. Any pound lighter will save you time. Then also include some dedicated goal pace running sessions into your training plan so you can try to prevent going out too fast. Going out at the proper pace can save you minutes. I love my GPS heart rate monitor in races! It is incredibly useful in order to make sure you stay on goal pace and don't go out way too fast. The 10k is a great distance, but mentally tough as you need to go uncomfortably fast for a long time. Your quality workouts (interval, tempo, hills) will not only provide you with speed and strength, but also provide you with that mental challenge. I'd say that you should give it a real good go. Despite of what that forum poster said, there are not that many people that can run sub-40, so it is a great goal to have and I think an achievable one for you! Best of luck, let me know how you go! If you want to start running faster 10k races, you owe it to yourself to give "Run Your Best 10k" a chance. Backed by a 365-day "not happy, money back" guarantee, you don't have anything to lose. This 100% risk-free offer provides you with the RIGHT running workouts at the RIGHT time to get you the results you need in as little as EIGHT WEEKS. Join in and write your own page! It's easy to do. How? 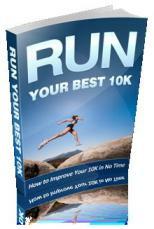 Simply click here to return to 10k Running Questions.